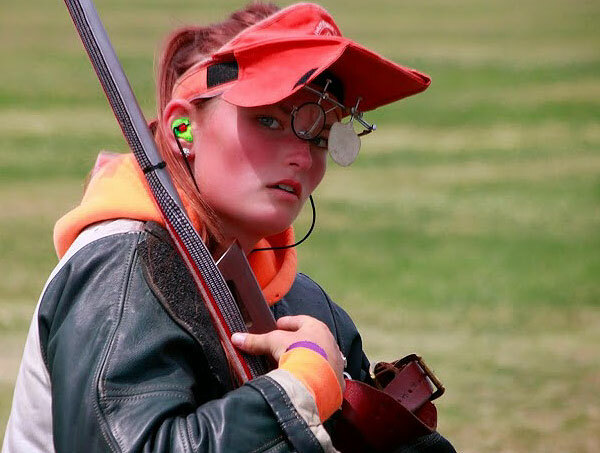 Michelle Gallagher is now the 2014 NRA Long Range High Power Rifle Champion. Michelle shot a perfect Palma score to win the multi-match championship. When the dust settled, Michelle edged out her mom, Nancy Tompkins, by a single X. Readers asked about Michelle’s choice of bullets. 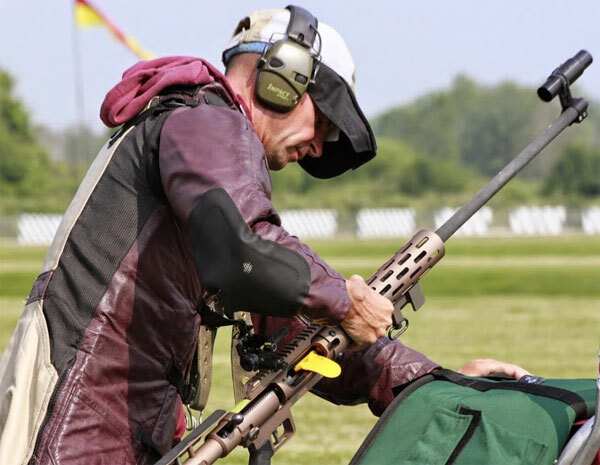 In the Long Range Championships, Michelle used the Berger .30-caliber 155.5gr Match Fullbore Target bullet (for Palma), as well as the 6.5mm 140gr Match Hybrid Target bullet. 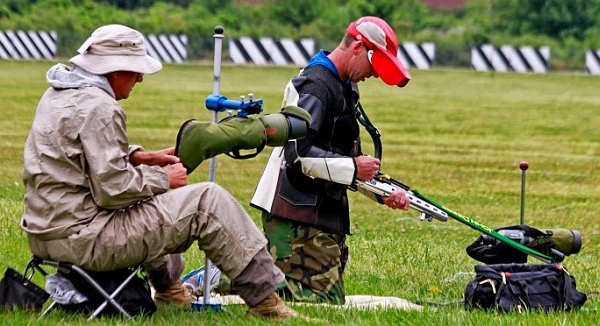 Here are some photos from the Long Range championships, courtesy GONRAMedia. CLICK HERE to see more GONRAMedia photos from Camp Perry. 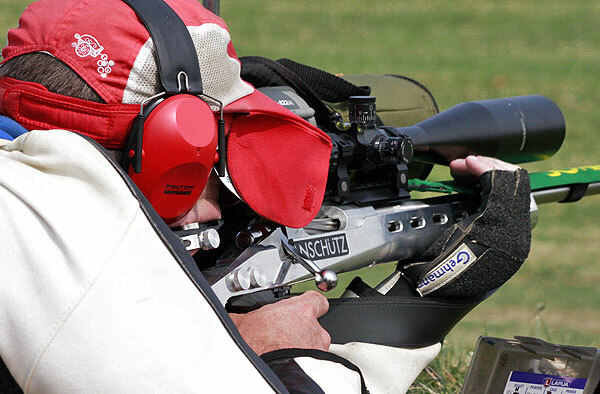 John Whidden, a three-time NRA Long Range Champion, had a pair of long-range rifles built on modified Anschutz aluminum small-bore stocks. John’s scoped rig (first photo) features a Kelbly Panda Action. 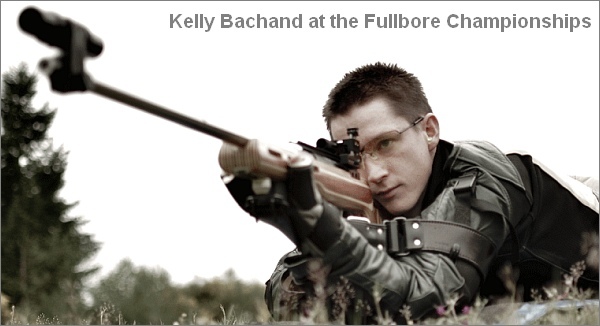 The iron sight version (second photo below) has a Winchester action. John has done these conversions for other shooters. Long Range is not a man’s world by any means. The top two LR places at Perry were claimed by ladies. Tubeguns built with Gary Eliseo chassis systems were popular on the firing line. 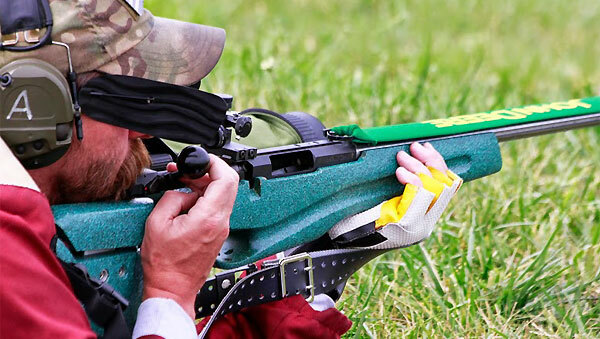 Yes, that is a John Deere Mirage Band shielding this shooter’s barrel. 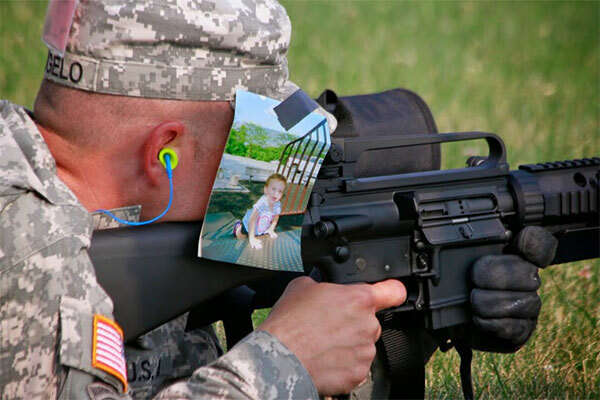 This service rifle shooter found a way to shield his sights and remember his loved ones. 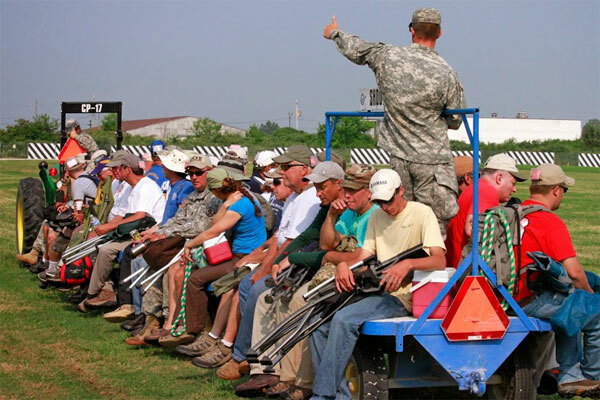 This competitor transformed a Sinclair loading block into an elevated ammo caddy. Clever piece of kit! “Wagons HO!”. Shooters await the long ride to the pits for target duties. 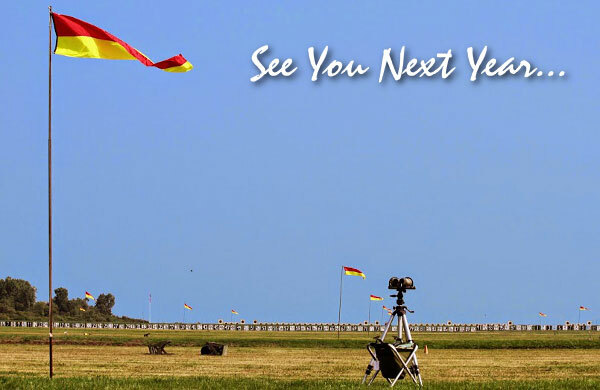 Share the post "Views from the National Long Range Championships"
Berger Bullets has improved its online stability calculator. Tests have shown that bullets can suffer from reduced BC if the bullet rpm (spin rate) is less than optimal, even if barrel twist rate is otherwise fast enough to stabilize bullets in flight. 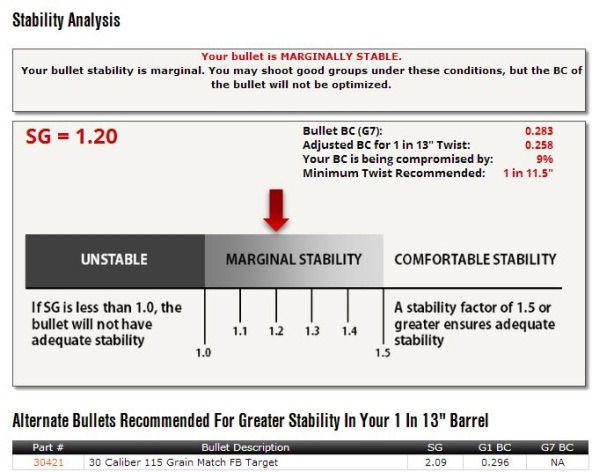 Now, the improved, free Stability Calculator can determine if you need a faster-twist barrel to enjoy the best BC from your bullets. 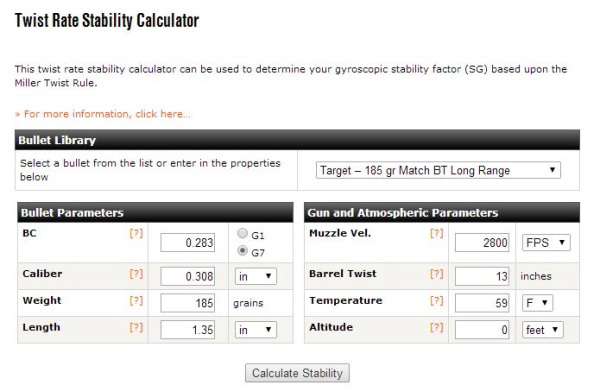 We’re happy to announce a major upgrade to our Twist Rate Stability Calculator which is free to use on the Berger Bullets webpage. The old stability calculator was pretty basic, and would simply return a gyroscopic stability number based on your bullet, twist rate, and atmospheric conditions. This was used to determine if your barrels twist rate was fast enough to stabilize a particular bullet or not, based on the Gyroscopic Stability Factor (SG) being greater than 1.4. The new calculator still calculates SG, but also goes much further. In addition to calculating stability, the upgraded calculator can also tell you if your stability level is harming the effective BC of your bullets or not. 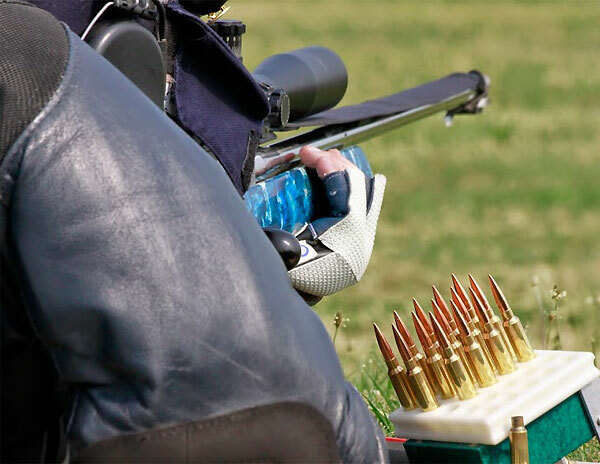 Extensive testing has proven that bullets fired with stability levels between 1.2 and 1.5 can fly with excellent precision (good groups), but suffer from a depressed BC, sometimes as much as 10%. Shooting the bullets from faster twist rate barrels allows for the bullets to fly better and realize their full BC potential. Share the post "Berger Updates Free Online Bullet Stability Calculator"